At the heart of this is the fact that one of the core functions of a state is defence. In the referendum campaign, there was a claim that an EU army was being created, which mobilises all sorts of fears about being “invaded” (at least emotionally), but had little to do with reality. Where reality does kick in is that, from the vision of the Coal and Steel Community which led to the Treaty of Paris, the European project has been about creating enough interdependence among European nations to mean that we can’t go to war with each other. The logic was that treaties can be broken, but a deeper connection guarantees peace. If a nation chooses to pull out of that, the other should be a little cautious. Put bluntly, seeking to leave means that we are not committed to remaining within the EU and its ideals. The EU is right to say that we can’t hope to remain in the defence parts of Galileo. 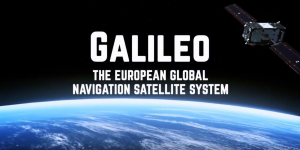 But Galileo is part of what has come to be called “pooled sovereignty”. Brexit puts us outside that. There is no reason for the Brexiteers to complain, unless it is not what they want. The point here is that the EU is not a nation state. It is something new (and exciting). For people to project onto it the fears that would be appropriate if we were being taken over by another nation state is to fail to recognise what it is. In the anger at our seeming to be excluded, my sense is that people are recognising that it is something other, and that we lose out by excluding ourselves. It is to begin to half-articulate the gap between the reality of the EU that we would be daft to leave, and the fantasy of an invading power that it has never been. That Brexiteers ever saw it as this says a great deal about the uncomfortable imperialist fantasies which they are carrying, and projecting onto the EU rather than facing. For years the UK has had a host of opt-outs. European partners have (rightly) expressed frustration at “Europe à la carte”, because all the aspects of the European project work together. At the very least, Brexiteers need to stop moaning about being excluded, when they have sought that exclusion. At best, we should recognise that the fears and fantasies leading people to support Brexit have little to do with the EU, and are best addressed by stopping the Brexit process, and looking at what led to the pressure for it.